Packing – Sometimes our customers don’t have the time to do their packing themselves. Many also prefer their belongings to be packed by professionals to avoid the risk of any damage to valuable items. Our packing services are fully customizable. This is perfect if you want a professional to pack your more fragile items for you. We also offer packing tips and moving guides to anyone who is looking to make their moving process more efficient and stress-free. Debris Removal – As a courtesy to you and your home, we can customize your moving quote to arrange for any debris removal at your destination. We know moving is hard enough already and walking into a mess could cause more of a headache during the moving process. Let our staff clear any debris from your new home, so the only thing you have to worry about is unpacking and settling in. Supplies – Your moving representative can arrange any moving supplies you may require. We have all the supplies that are needed for helping you stay organized. Our supplies include moving boxes, newsprint and bubble wrap. Ask your moving representative for any supplies you need. Storage – If you are moving into a new home and are lacking room for some of your belongings, there is no need to worry. We have you covered with our local storage options throughout the Fort Lauderdale area. Our staff is dedicated to keeping our storage facilities cleaned and monitored to meet the highest standards for safety. Whether it is short or long-term storage, we will keep your belongings safe and secured. When you choose us for your local move, our highly-trained staff will work with you to ensure that every step of your move is handled with care. We will answer any questions you may have along the way. When you choose our South Florida moving company, you can rest easy knowing your belongings are being taken care of by the best Fort Lauderdale moving company. At Cousins USA, we are dedicated to completing your local move on time and on budget. As your local Fort Lauderdale movers, we can provide you with a staff of expert movers who have the knowledge and expertise to make your local move quick and affordable. Whether you’re moving from Miami to Jacksonville or Fort Lauderdale to Mirimar, we know you will be satisfied with your choice. We pride ourselves on transparent communication and exceptional customer service. With 90% repeat customers it is apparent that Cousins USA is the right choice for your local move. Our operation is unique because it is something you would expect from a larger van line, but because of our personalized attention to detail, we have become the trusted and reliable local movers in the South Florida area. What separates us from every other local mover in the Fort Lauderdale area, is our attention to detail and our determination for you to be satisfied with your choice of mover. Each time you book Cousins USA for your local move you will be assigned a moving representative who will guide you through every aspect of your move. From giving you the most accurate quote to helping you customize your moving plan. On moving day, your assigned moving coordinator will ensure everything is loaded onto the truck and will communicate with you until every box is unloaded. Local moves require a certain familiarity with the region you are serving, as well as a personalized touch that you only get from the best moving companies. All our years as Fort Lauderdale movers has taught us to appreciate our community and provide our customers with the best services one could ask for. To us, no two moves are the same. We know the difference between a good job and a great job. We know you won’t be disappointed with your choice in using Cousins USA. Each time someone gets a moving quote from us they can expect their moving coordinator to examine their needs thoroughly and come up with a plan that fits their individual move. We know there are a lot of factors that go into your move and we can accommodate to any circumstance even if it requires extending the moving process. We also offer last minute, and emergency moving services and will work fast to get you moved out and settled into your new home as quick as possible. We will work around your schedule. Whatever your local moving needs are, Cousins USA is the best moving company in Fort Lauderdale. 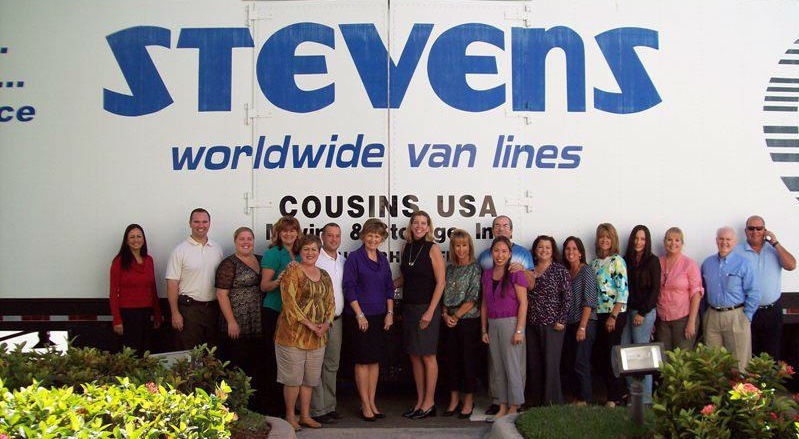 Cousins USA is the right choice for your local mover. We offer a variety of moving services that can accommodate to your needs. We have had the privilege of serving residents and businesses in the Fort Lauderdale area since 1996. All our moving staff is professionally trained and have the moving equipment necessary for any move regardless if it is local or long distance. We also offer a wide variety of specialty moving services. Some items pose a bigger challenge to move such as pianos and gun safes. Don’t put yourself or your belongings in harms way trying to move these items on your own. With our extra padding and protection your belongings and home will be safe from any potential damage. Our movers will even disassemble and reassemble any of your items free of charge. If you book our local moving service, we will pitch in 25 free boxes for you to pack your belongings in or offer you 30 days of free storage. Fill out our free online quote form today and begin your local move. We guarantee the best local moving service and look forward to helping you with your next move in the Fort Lauderdale area.